Volunteers are the backbone of our organization. Not only do we need them for our book sales (one in the spring, another in September) but we need help ALL YEAR LONG! We especially welcome computer skills or business management expertise. For more information on any of the year-round positions, please e-mail volunteertoo@friendsofthehcpl.org. Are you a Friends of the Library member? Do you attend any of the great programs put on by your local library branch? 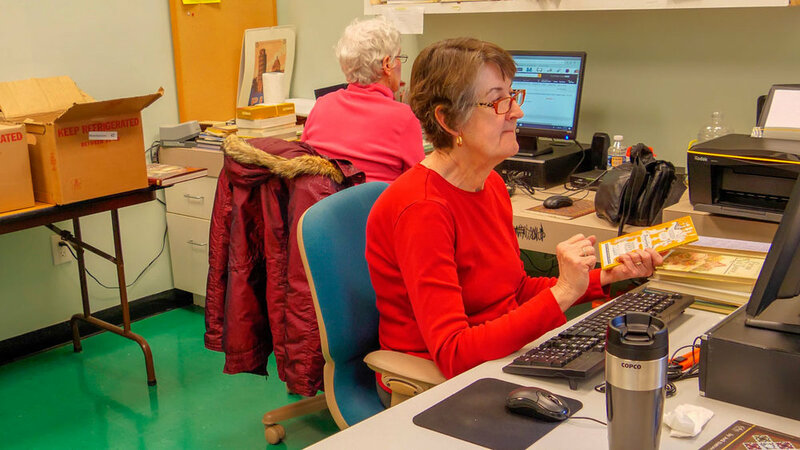 Does providing a service to the library simply by attending appeal to you? Then consider volunteering at your local branch to be a Friends of the Library representative. Whenever any Henderson County Library branch hosts a program in which the presenter wishes to sell something, they are required to have a Friends of the Library member present at the program. This member does not have to do anything with the program or the selling - they simply have to be present during the time of the program. If this appeals, then give your name and contact information to your local branch library to put on the list. If you are called and decide to go - simply show up at the appointed time, notify the librarian in charge of the program that you are there as a Friends rep, and sit back and enjoy the program.